COLLINGWOOD'S Steele Sidebottom has accepted his two-match ban for engaging in rough conduct on Sydney Swan Dan Hannebery, while match-day reports against Geelong's Mitch Duncan and Hawthorn defender Ben Stratton have been thrown out. 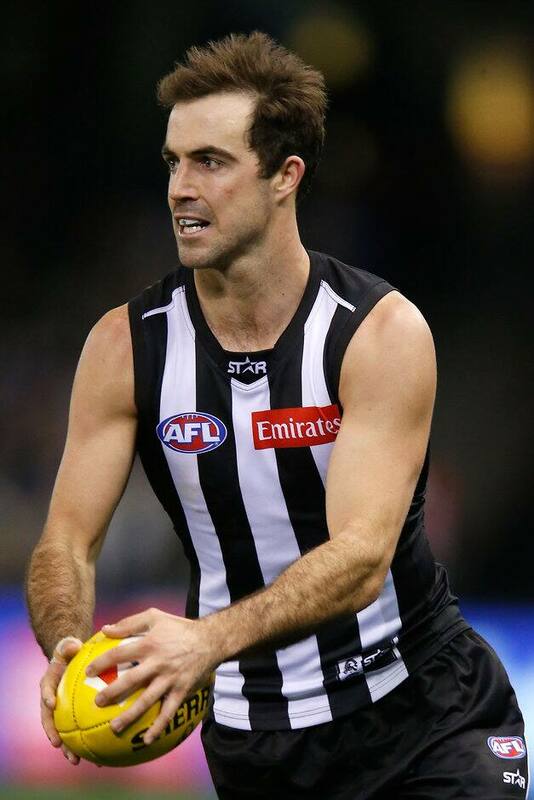 Sidebottom's suspension was bumped up to three weeks because of his bad record, but an early guilty plea will allow him to miss only two games. His poor record stems from a three-week ban in 2014 for a high bump on St Kilda's Maverick Weller. Collingwood's next two opponents are Richmond and St Kilda. It continues a horror few days for the Pies, who lost to the Swans by 80 points last Saturday night. Meanwhile, Duncan's report for rough conduct on Hawks skipper Luke Hodge was dismissed after the Match Review Panel judged contact with the Cat's elbow was with Hodge's arm – not his head as the field umpire initially believed. The incident in the Easter Monday blockbuster left Hodge nursing a suspected broken arm that could sideline him for several weeks. Stratton had no case to answer after the MRP graded his striking charge against Geelong small forward Cory Gregson as a legitimate attempted spoil. Fremantle veteran Matthew Pavlich's charge of engaging in rough conduct against Western Bulldog Easton Wood was dismissed as the MRP found the former Dockers captain had no other way to attack the ball. Pavlich's charge of engaging in rough conduct against Western Bulldog Easton Wood was dismissed as the MRP found the former Dockers captain had no other way to attack the ball. Gold Coast's Tom Lynch and Melbourne's Jeff Garlett both accepted $1000 fines for their respective strikes on Essendon's Mark Baguley and Greater Western Sydney's Phil Davis. Both incidents were judged as careless conduct with low impact to the head. St Kilda's Jarryn Geary was charged with engaging in rough conduct against Port Adelaide's Robbie Gray and has accepted a $1000 fine.